Reptiles are cold blooded and the Horsefield is no exception. The extreme temperatures that you need to keep your pet in are above freezing in Winter and below 40.5 Celsius (105 Fahrenheit) in summer. If reach above or below these extremes you need to take him inside. But the idea temperature that you should keep your pet in outdoors is 20-35 Celsius (68-95 Fahrenheit) in the summer and 5-10 Celsius (41-50 Fahrenheit) in the winter. #1 Best bet to get you started the fastest and correctly. Includes everything you need to start. Takes all the guess work out of it! For someone getting their first Horsefield, this saves the hassle of piecing everything together yourself and wondering if it's right! Save by bundling and getting all the correct supplies in one place. Excellent. 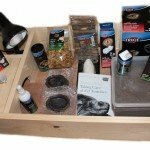 Includes UV-A / UV-B lighting, engraved pets name, furnishings, food, manual and vitamins. #1 Best bet for food because it is specifically designed for the Horsefield tortoise and its Testudo Genus. It's formulated just for them with the correct vitamins, minerals and fiber. All natural with no artificial colors or preservatives and mainly consists of their favorite, Dandelion and Yucca. Perfect all in one bulb that delivers all the lighting your Horsefield will need when kept inside. 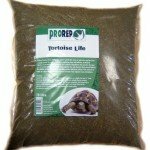 Reliable pro-grade substrate perfect for his housing environment. 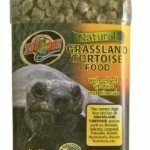 Buying packaged substrate over wild dirt etc. prevents many possible contamination problems. This is best mixed with other substate sources like Timothy hay, wood chips and sand. Keep dry to prevent shell rot. Advanced guide. This is the only guide that is made just for the Horsefield Tortoise. Includes everything on buying, housing, food, breeding, hibernation and health issues. All of the information you need to know specifically about your one type of pet, the Horsefield tortoise, is in this care guide. This is a Mediterranean species so there needs to be a difference in temperature from the daytime to the night (unlike the tropical tortoises who need a constant temperature). One side will also be different in temperature than the other because of the light we will put in. Your Horsefield will move from one side to the other depending on his heat needs. We don’t need to have winter temperature for your indoor housing because we will not be hibernating him in this housing. Because we can control the temperature inside I have shortened the temperature ranges a bit for the ideal conditions. Set a thermometer by the housing to keep an eye on the temperature. 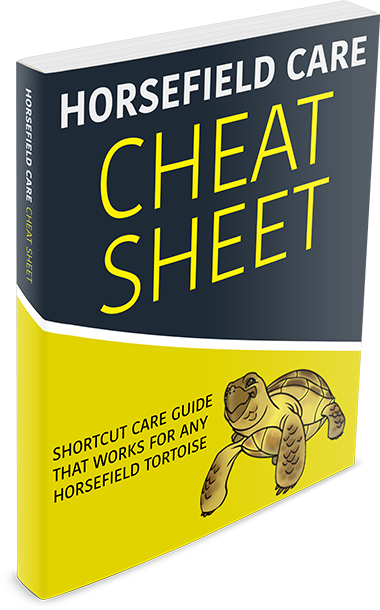 100% FREE easy care guide, works for any Horsefield Tortoise. Enter your email below to get your free Horsefield care guide. Choosing the lighting wattage will depend on what temperature that area in your house already is. Set up your housing and then put a thermometer next to it. You will need to reference the temperature range chart above and determine based off the temperature you get at your house on how powerful your wattage needs to be. This is why setting up your housing several days before you have your tortoise is so important. We will use an incandescent lamp during the daytime because it produces light in addition to heat. In addition, provide a UVB (Ultraviolet B Waves) light. Keep it on the say time during the day as the incandescent light. The UVB provides crucial calcium that plays an important role in his metabolism. Then, during night we will use a ceramic emitter because it gives of heat with no light. These two lights combined will make a natural daytime/ nighttime effect indoors. For the easiest maintenance choose lights with timers so they will automatically turn on and off. Be sure to place these heat sources at one end of the housing. That will enable your pet to go to one end or the other depending on his temperature needs at the time. You can find these at most pet, hardware and home improvement stores. All reptile stores should carry these three lights. Buying online can also be a great place if you can’t access a store. Artificial lights are no substitute for natural sunlight. If you house your Horsefield indoors you need to take him outside as much as you can for him to get exposed to natural sunlight. You can easily set up mobile pens with a reliable border. The amount of time your pet Horsefield receives the correct amount of light is just as important as the temperature and lights itself! With the wrong temperature, lights or amount you will see problems in his eating habit. The correct amount of time needs for your lights to be on is 8-9 hours. The explanation of this is that we need to replicate the outdoors. The amount of sunlight that hits the ground between sunrise to sunset is around 13 to 17 hours and 15 hours on average. But there are many different temperatures within the day, the morning and evening being cooler and midday being hottest. So we only need 8-9 hours with your lighting because it is a constant hot temperature. I hope you have found this detailed guide of how to set up the lighting useful. For all other detailed guides you must know, sign in below to get the free email course.